The Commonwealth of Dominica is about to face one of its most daunting challenges as a democracy if the following, electoral reform, is not addressed soon. National elections, according to the constitutional cycle, are scheduled for 2019/2020, thus spawning an urgency for timely reform. We can confirmedly state that the Skerrit-led DLP administration has engaged in unscrupulous acts of voter manipulation this last general elections. This last elections has glaringly revealed the immoral depths to which this current administration will sink, in order to preserve its status quo. The Constitution of the Commonwealth of Dominica and the House of Assembly (Elections) Act are broad and slightly archaic in their approach to hosting a free and fair national elections. The United Workers' Party in their letter to the Dominican Electoral Commission, letter dated August 16th, 2016, expressed their concerns for breach of Constitutional law. These concerns are extremely valid, and the basis for UWP's case stems from Section 38 of the Constitution "Responsibility for Electors" and Part V, "Elections Offenses" – Subsections 54 to 58. Gaping loopholes exist in the Constitution, which allow for legal (but unethical) distortion by the likes of one senior counsel who resides and "rules" from offshore. 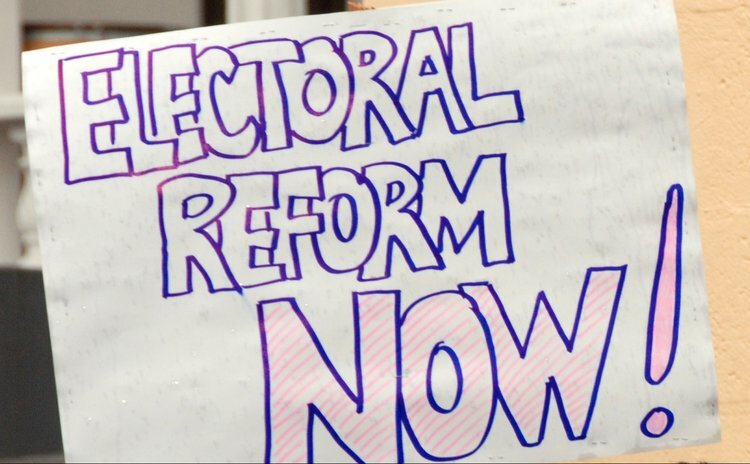 We go as far as saying, that the Constitution of the Commonwealth of Dominica in its current form, does not fit the purpose for drastic and fire-proof electoral reform, and has to be overhauled in a effort to achieve such. The Constitution of the Commonwealth of Dominica, Part 4 "Constituency Boundaries and Electoral Commissions" – Section 56 states that the Electoral Commission shall consist of a chairman appointed by the President, acting with the advice of the Prime Minister, and two members appointed by the President acting with advice of the Leader of the Opposition. The appointing process then indicates a system of impartiality where boundaries are set. In theory then, the Prime Minister cannot on the whim, hire, promote, or fire commission members on his own. This, however remains in theory. The shaking up of the commission some seven years earlier when, under the strong-armed wishes of the Prime Minister – acting in accordance of another - Mr. Charles was replaced, clearly violates the Constitution. According to Section 56, Subsection 7, not all procedures were followed in the shaking up process. For example, where is the tribunal's report supporting the justification for the termination of Mr. Charles as commission member? Are many public offices becoming a rubber stamping mechanism for an increasingly totalitarian government? We find the Constitution to be inconsistent in its methodologies of fairness, when it comes to appointing and terminating decisions with regards to commission members. For example, the President, acting in his deliberate judgement and acting in accordance to Prime Ministerial advice, shall appoint. However, the President may dismiss a commission member upon the advice of a tribunal, separate from the Office of the Prime Minister. If we were to recommend amendments to the Constitution, we would have the Prime Minister and Leader of the Opposition submit a list of eight names – four names for each party to be voted on by the public for the office of Electoral Commission member. Out of the eight names, the two highest voted names of each political side, would qualify as candidate members for the Electoral Commission. These four elected (candidate) members then would be appointed by the President to fulfil their duties.